Note: Use anychart#stock method to get an instance of this class. getPlotsCount() Returns the number of plots. 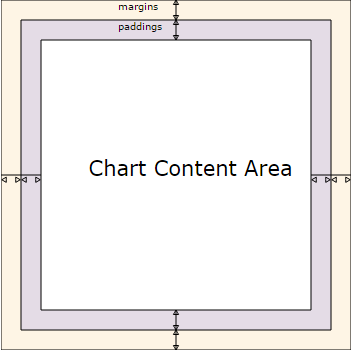 getType() Definition of the chart type. zoomMarqueeFill() Zoom marquee fill settings. getSelectedPoints() Getter for the selected points. getStat() Getter for a statistical value by the key. toJson() Return chart configuration as JSON object or string. toXml() Return chart configuration as XML string or XMLNode. draw() Drawing of the chart. selectRange() Setter for the select range using date. If you want to enable accessibility you need to turn it on using anychart.core.Chart#a11y method. anychart.charts.Stock - Self instance for method chaining. anychart.core.utils.Animation - Returns true if the animation is enabled. Setter for animation settings by one value. null/boolean - disable or enable animation. object - sets animation settings. Note If you use anychart.graphics.vector.Stage#suspend, you will not see animation. Setter for animation settings using several parameters. anychart.core.annotations.ChartController - The annotations controller. Setter for the chart background. anychart.charts.Stock - Returns self for method chaining. element anychart.graphics.vector.Layer | anychart.graphics.vector.Stage | string | Element Container to set. Setter for the chart credits. Learn more about credits settings. anychart.charts.Stock - An instance of the class for method chaining. The plot crosshair settings have a higher priority than the chart crosshair settings. null/boolean - disable or enable chart crosshair. object - sets chart crosshair settings. settings Object | boolean | null Crosshair settings. Getter for the event markers controller. anychart.core.stock.eventMarkers.Controller - Chart controller instance. Setter for the event markers controller. Returns the number of plots. Note: The getPlotsCount() method returns the number of existing plots. The number of plots is not always equal to the biggest index of the plot. Please make sure you are aware of that when you dispose and create plots. number - Number of plots. // Creates plots with indexes 0 and 4 accordingly. // Returns the number of plots is 2. Getter for the selected points. Array.<anychart.core.Point> - An array of the selected points. anychart.charts.Stock.SelectedRange - The object of the selected range. Getter for a statistical value by the key. key anychart.enums.Statistics | string Key. Converts the global coordinates to local coordinates. Note: Works only after anychart.charts.Stock#draw is called. On the image below, the red point is a starting point of the chart bounds. Local coordinates work only within the area of the stage (container). Getter for the data grouping settings. Setter for the data grouping settings. null/boolean - disable or enable data grouping. object - sets data grouping settings. array - sets data grouping settings. settings boolean | Array.<(string|anychart.core.stock.Grouping.Level)> | Object Grouping value. settings Object | anychart.enums.HoverMode | string Settings object or boolean value like enabled state. anychart.core.SeparateChart - Self instance for method chaining. Note Notice that if the existing listener is one-off (added using listenOnce), it will cease to be such after calling the listen() method. Note In particular, if the handler is already registered using listen(), listenOnce() will not make it one-off. Similarly, if a one-off listener already exists, listenOnce will not change it (it wil remain one-off). Converts the local coordinates to global coordinates. Note: Works only after anychart.charts.Stock#draw is called. index number Index of plot. null/boolean - disable or enable chart plot. object - sets chart plot settings. Setter for the plots by index. null/boolean - disable or enable chart plot by index. object - sets chart plot settings by index. Getter for the Selected Range Change Behaviour. boolean - Selected Range Change Behaviour. Setter for the Selected Range Change Behaviour. When the data change the selected range (true) is preserved or the scroller position (false) is preserved. Enable/disable selected range change behaviour. Prints all elements on related stage. Paper size or object with options. width number | Object Image width or object with options. paperSizeOrWidthOrOptions number | string | Object Any paper format like 'a0', 'tabloid', 'b4', etc or width, or object with options. Saves the chart as SVG image. paperSize string | Object Paper Size or object with options. null/boolean - disable or enable chart scroller. object - sets chart scroller settings by index. Getter for the scroller data grouping settings. anychart.core.stock.Grouping - The scroller data grouping settings. Setter for the scroller data grouping settings. value boolean | Array.<(string|anychart.core.stock.Grouping.Level)> | Object Grouping value. Setter for the select range using date. Selects passed range and initiates data redraw. start number | string | Date Start value to set. end number | string | Date End value to set. Setter for the select range using start date and dispatch event. dispatchEvent boolean Whether to enable dispatch event. Setter for the select range using range type. Note: Unit value and range type value works only after anychart.charts.Stock#draw is called. type anychart.enums.StockRangeType | string Range type to set. count number Count of points to set. Setter for the select range using unit. unit anychart.enums.Interval | string Interval to set. count number Count of years. anchor anychart.enums.StockRangeAnchor | string Range anchor to set. Starts select marquee drawing. 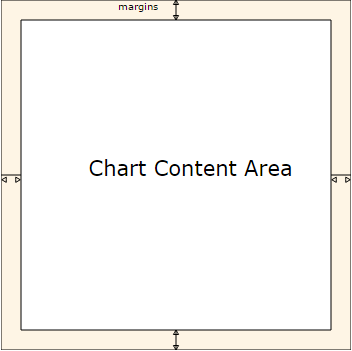 Note: Works only after anychart.core.Chart#draw is called. repeat boolean Stay in marquee select mode after or not. asRect boolean If true - a rectangle is drawn by X and Y coordinates, otherwise, draws an area of the plot height. Return chart configuration as JSON object or string. Returns SVG string with paper size and landscape. paperSize string | Object Paper Size or object of options. Returns SVG string with with determined the width and height. 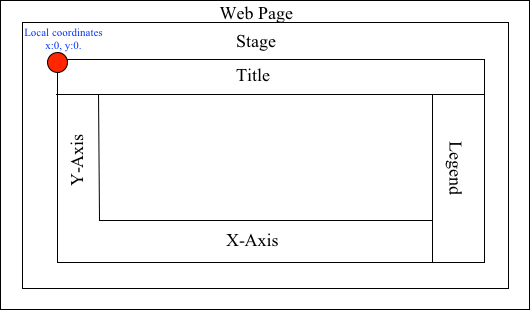 Return chart configuration as XML string or XMLNode. settings Object | boolean | null Tooltip settings to set. Getter for the stock chart X-scale. anychart.scales.StockScatterDateTime - Default chart scale value. Setter for stock chart X-scale. Getter for the zoom marquee fill. anychart.graphics.vector.Fill - Zoom marquee fill. Getter for the zoom marquee stroke. anychart.graphics.vector.Stroke - Zoom marquee stroke. Setter for the zoom marquee stroke. Learn more about stroke settings. IE 6? Latest Chrome? Mobile browsers? AnyChart just works everywhere!